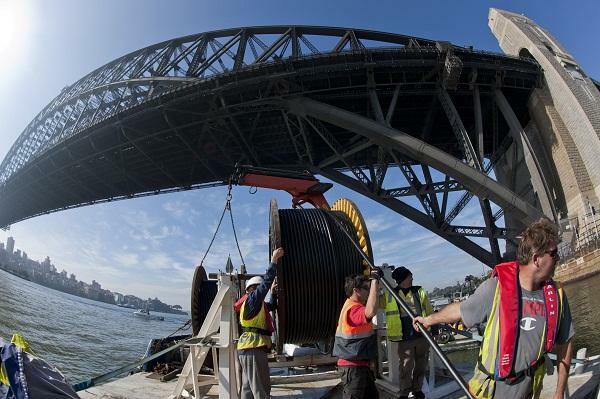 Vocus Group Limited (ASX:VOC) has secured a deal with Alcatel-Lucent Submarine Networks for the construction of its $228 million Australia Singapore Cable (ASC). The publicly-listed company announced on 6 December that it had executed a 'contract-in-force' (CIF) binding agreement with the Nokia-owned Alcatel-Lucent Submarine Networks (ASN) for the construction of the undersea cable. The ASC project is a 4,600km submarine cable system linking Australia to Singapore and Indonesia, with a system design providing a minimum of 40Tbps of capacity from Western Australia to South East Asia. The capacity is forecast to expand further over the coming years. The project is expected to take approximately 19 months to build, with a completion target of August 2018. It’s effective lifecycle is estimated to be a minimum of 25 years. Following the completion of the $807 million Nextgen Networks acquisition in October, Vocus has now confirmed it has the green light from both Singaporean and Indonesian authorities to commence and complete the project. Prior to the acquisition, the construction of the ASC was a 50/50 joint venture between Nextgen Networks and Vocus. This follows the green light to go ahead with the deal by the Australian Competition and Consumer Commission (ACCC), which said it will not oppose a move by Vocus Communications to acquire Nextgen Networks. The cable was also a strategic consideration in Vocus’ decision to buy Nextgen Networks, as it - in combination with Nextgen’s trans-Australian fibre network - creates an interconnected, high capacity fibre network owned by Vocus from the east coast of Australia to Singapore via Perth, with direct connectivity into Indonesia. In combination with the Nextgen network, the ASC gives Vocus a unique advantage by providing a platform to increase utilisation of both assets. The ASC project is expected to cost $US170 million over the build period. The company said that the investment case for the project is underpinned by strong demand, the need for diversity and resilience for both the Australian and Asian markets, and the fact that the cable will connect Australia to Southeast Asia, India and Europe at lower round-trip times. A report commissioned on the ASC project in early 2016 estimated that the cable could capture a minimum of 15.5Tbps of capacity sales by the end of 2029. This would result in expected revenues of at least US$550 million during this period, by which time the ASC will have been operating for only 40 per cent of its effective life - estimated to be a minimum of 25 years. The report also estimated that 30 per cent of Australia’s overall international bandwidth will be connected to Asia by 2019.